3000 miles north & back: Happy October! Can you believe it is October?! That means only 3 more months in 2012. I have been frequenting Twitter a lot lately...I love the immediate up-to-date information and the quick conversations you can have with people across the country who share your same interests and hobbies. One interest of mine is finding what items are made in the USA. Why not support local business, right? :) This topic is definitely trending on Twitter. Over the weekend I began to think about October...and all of the good things that come with this month. Pumpkins, the changing of colors, apple orchards, cold(er) weather...and HALLOWEEN...and what comes with Halloween? Candy! I became inspired by a series of 'tweets' about Halloween candy manufactured in the United States. After doing some of my own research about the topic (as my interest level continued to increase), I found that many manufacturing facilities are very vague about where their products are actually made. I was also surprised to read about companies that didn't manufacture their candy in the USA (Sees Candy, Hershey's, Nestle'), instead making their candy in countries like China, Mexico and Switzerland. Listed below are types of candy that I remember finding in my Halloween bag as a child and that exclusively make their candy in the United States. 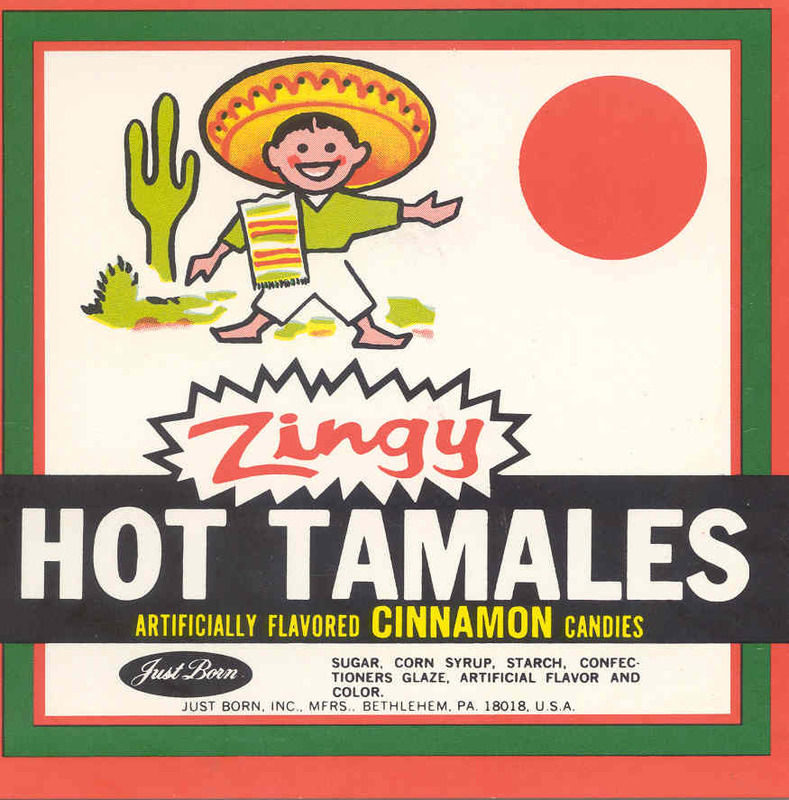 Hot Tamales, Mike & Ikes, Peeps: Hot Tamales were my go-to 50 cent candy at football and basketball games when I was little. My dad would give me 50 cents to spend and this is what I purchased...until I realized I could get popcorn for 25 cents, and profit from keeping the other 25 cents. :) These little chews are made by the Just Born Corporation in Pennsylvania. You can take an online tour of the factory on their website! 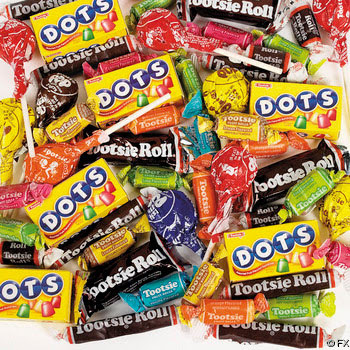 Tootsie Pops, Tootsie Rolls, Junior Mints, DOTS, Charms Blow Pops, Sugar Daddies: Not a huge fan of tootsie anything...these brands of candy are obviously a very popular find in Halloween sacks. The Tootsie Roll Headquarters is in Chicago and Junior Mints are made in Massachusetts. 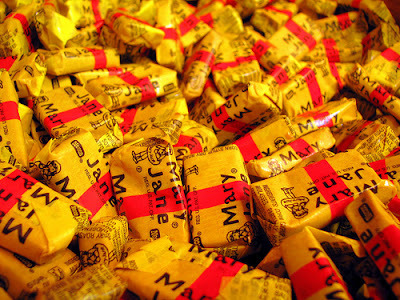 Mary Janes: Chewy candy that tastes like honey...made in Massachusetts by NECCO (New England Confectionary Company). Similar to Bit-O-Honey, which is made by Nestle', Mary Janes can be purchased with American-made confidence. 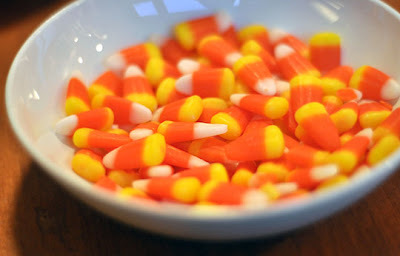 Candy Corn: I was so pumped to realize that two brands of this candy are made in the USA...Jelly Belly, who has Headquarters in California and a distribution facility in Wisconsin, and Zachary Confections, who makes several different flavors of candy corn for a number of different companies (Target, for example). Zachary Candy is made in Indiana. 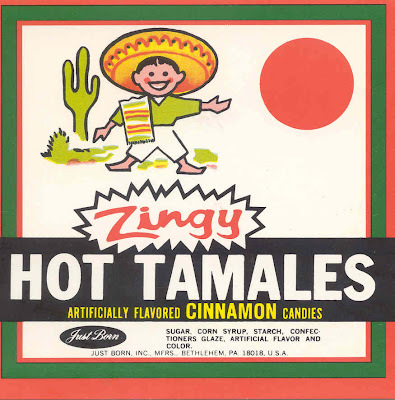 I usually have a bowl of this tri-colored candy on my table all month...and I remember going to my grandma's house, where she always had a bowl of the little candy pumpkins (hopefully made by one of these two brands). Dum Dum Lollipops: Eeewww! 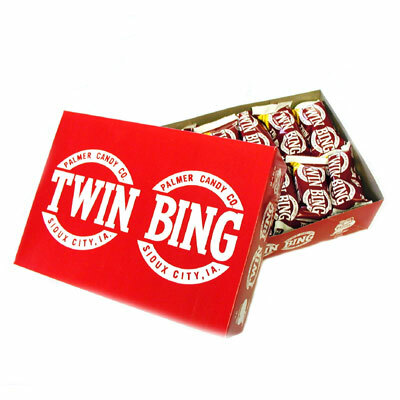 I hated Dum Dums, but a popular Halloween candy and loved by many, Dum Dums are made in Ohio by the Spangler Candy. In browsing their website, I noticed that you can tour their facility on the Dum Dum Trolley and visit the Spangler Museum. They even list 5 reasons why Dum Dums should be handed out on Halloween. 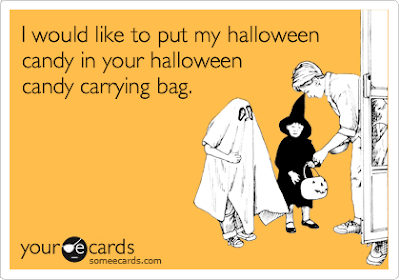 As you start shopping for Halloween candy, perhaps keep a few of these ideas in mind. A big shout out to Tracy Hanson from Green Living for the inspiration for this post.